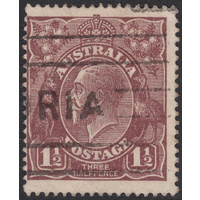 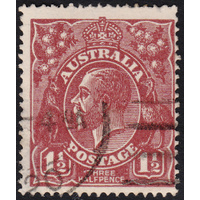 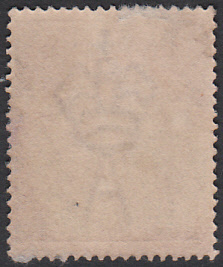 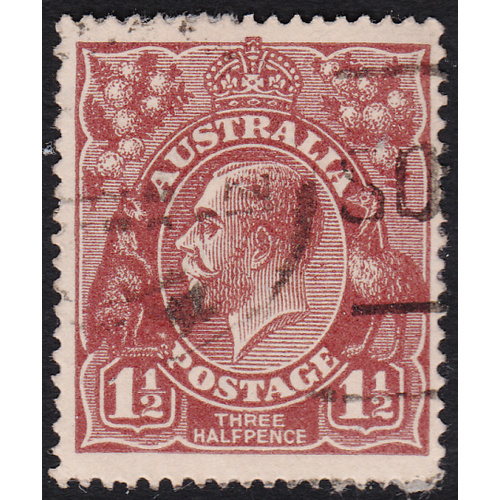 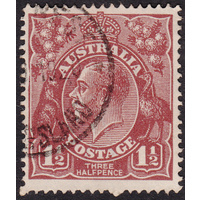 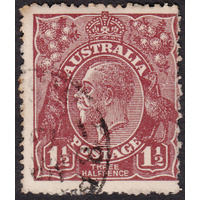 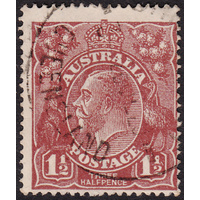 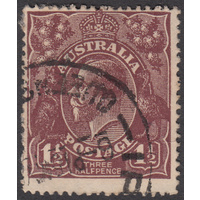 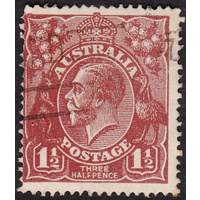 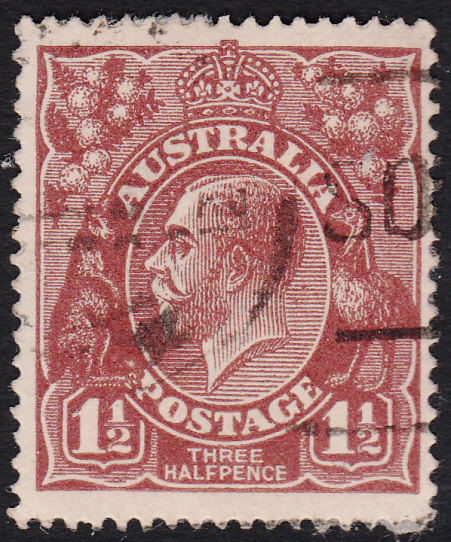 Australia KGV 1919, 1&1/2d Brown, Single Watermark, variety 1R13, (small pear-shaped flaw above 'Roo's foot) in Good Used condition with no faults. 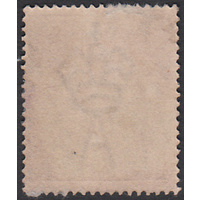 There is still a small amount of paper from the envelope attached to the back of the stamp, but this will easily come off with a good soak. 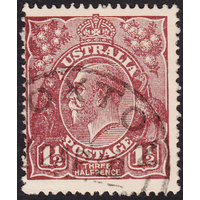 Reasonably centered with a duplex cancellation clear of the variety.